Not in my book! I'm not into spreading out either posting everywhere, it becomes work! There are too many data streams and then there is the repeated material. In theory I have a twitter account, but it has just never captured my imagination. 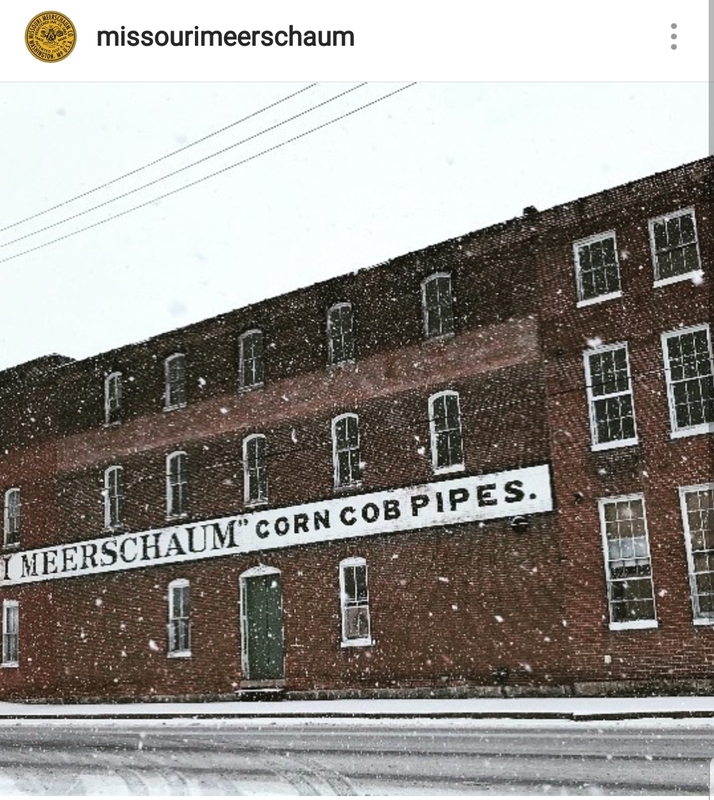 So I click on the link to a thread titled "Missouri Meerschaum, 1955" and the two posts I see on page 5 of this discussion are some quotes from an ongoing discussion of Instagram followed by talk about Twitter. Annnnnd, I need to go back five pages to find out how we got from 1955 to here. As it turned out, it's the most underused emoji of all! I'm going for a Forrest Gump walk to the MM factory in Washington, MO. On the way, the only thing I'm gonna eat is pizza. Talk about derailment, I haven't even read the first four pages of this thread. Guilty is as guilty does. Hey, check out this cool catalog from 1955 with all the great shapes MM made. Want to go back in time and buy cobs. They make the reverse calabash cobs which are stupid, they should make reed stemmed cobs and corndogs again! MM claims they don't have cobs big enough to make corndog, but that is nonsense they just don't want to make them. Random speculation about their manufacturing process. MM on some social media. Father Tom agrees, makes houtenziel seem even more clever. Hipsters try to defend themselves. Which I think about brings us up to date. Well I did slip on some ice today and fell on my hip.